Autumn has rolled around pretty fast – and in the UK its getting rather chilly! 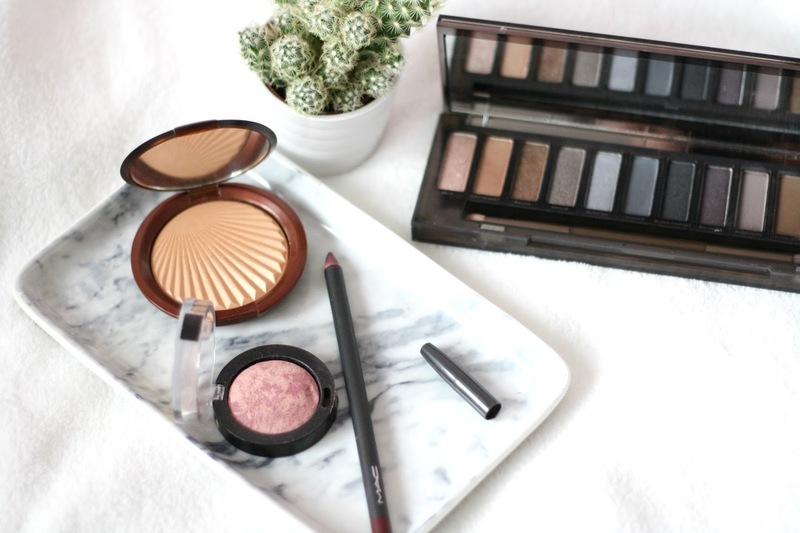 I love autumn themed make up looks with darker colours and lightly flushed cheeks so heres a few products I’ll be using this autumn. Foundation wise I’ll probably be using L’Oreal Infallible Matte Foundation because its pretty lightweight but still has a lovely full coverage that I like in the autumn/winter time. Secondly as you can see from the pictures a gorgeous highlighter which is the Estee Lauder Bronze Goddess Illuminating Powder Gelee. This is a really subtle highlight which is suitable for both summer and autumn weather, it gives a lovely glow but also warms up the face slightly. Lastly face wise; I’ll definitely be using my Max Factor Creme Puff Blush in Seductive Pink. This gives the perfect rosy cheek look – I love this sort of look in autumn because it looks like you’ve just come out of the cold into the warm and your cheeks are all flushed. For the eyes this autumn time, my Naked Smoky Palette is going to be my holy grail. 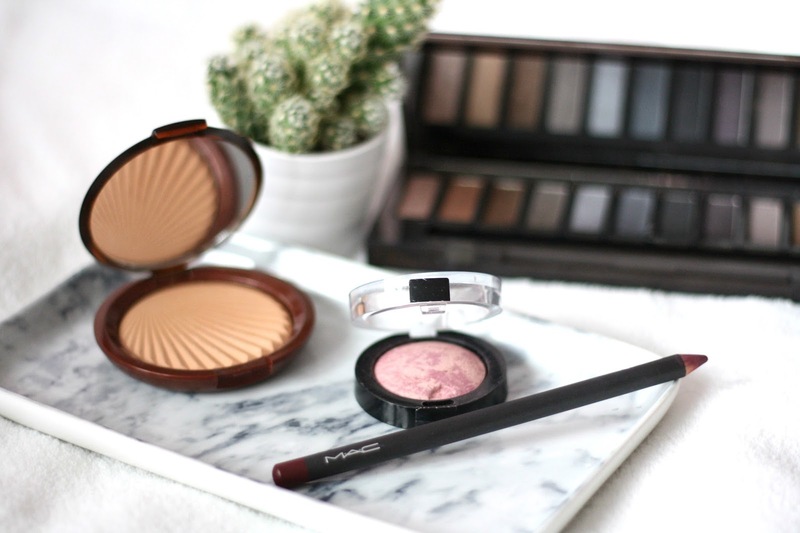 I love a good old’ smoky eye for the autumn/winter. Even just a neutral brown eye is super pretty. With my Naked Smoky I can achieve both of those and the eyeshadows a very long lasting. One of my favourite smoky looks I’ve been going for is using the shade ‘Smolder’ which is a taupey purple through my crease and then ‘Armor’ which is a gorgeous shimmery silver all over the lid. Its stunning! On my lips this autumn I’ve picked a gorgeous colour. That is Mac Burgundy lip liner. As the name suggests its literally a burgundy colour – a deep reddy brown. Its great for an all over lip colour or you can pair it with another autumn lip colour. I like to pair it with Mac Plumful, which is a lighter colour more of a plumy purple but together they just seem to mix very well. Definitely check out the two of them. What products are on your autumn agenda?